Urban Quarter is a Development Advisory company specialising in site identification, acquisition and Development Management services . 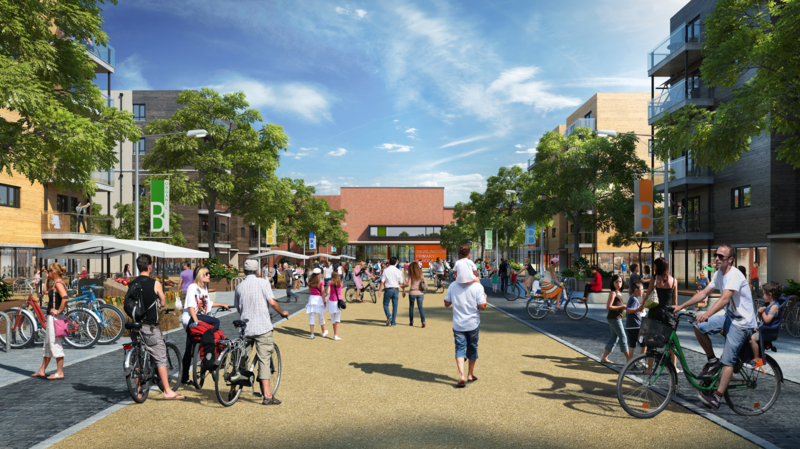 Urban Quarter has been established to identify and deliver good quality residential, retail and mixed use development schemes so to create sustainable urban environments that are both attractive and relevant to modern day living. 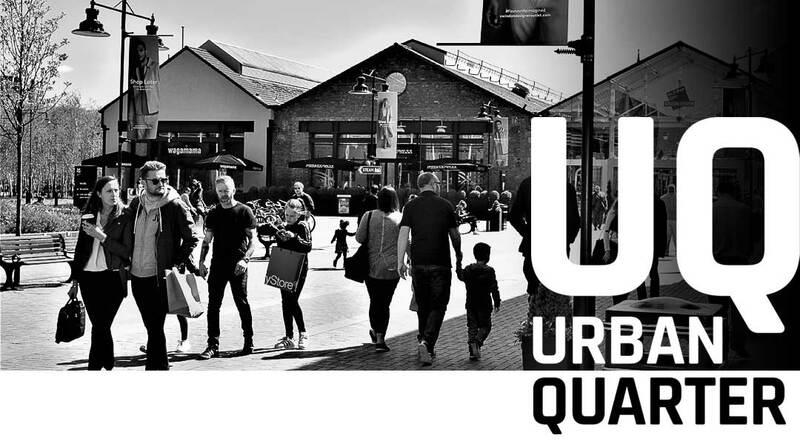 With the breadth of experience gained over 20 years in both major client side developer and consultancy roles Urban Quarter are well placed to provide clients with insightful and informed advice so to create and deliver projects that communities can be proud of. Engaging with communities, creative vision leading to good quality design, strategic thinking and innovative problem solving are the cornerstones to our approach. 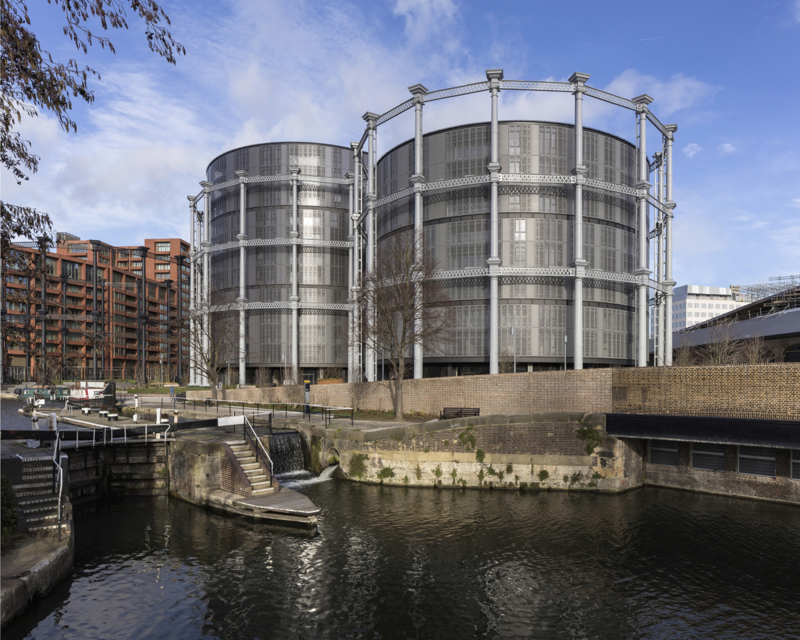 The industrial heritage of Kings Cross is intergral to its regeneration and the triplet cast iron gasholders is the most distinct centrepiece. 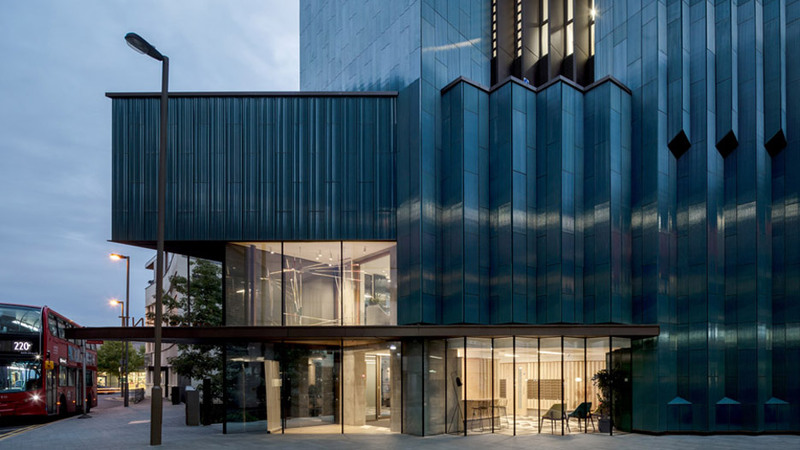 Sitting comfortably within these structures are the three residential drums providing high quality iconic apartments, clad in a delicate and intricate asthetic of steel and glass panels with a veil of external shutters. 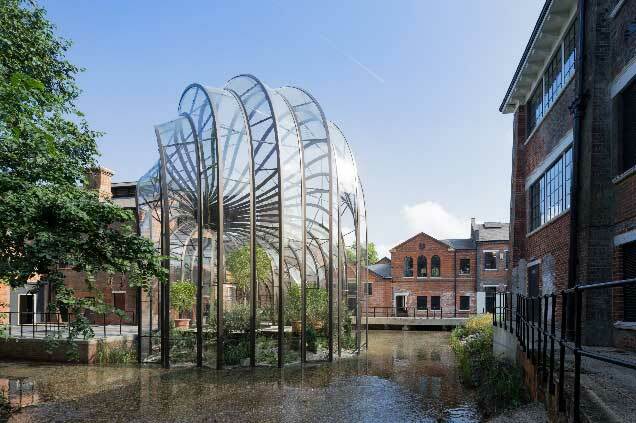 The nearby gasholder park provides a striking urban garden and public space and combined the reuse of these heritage gasholder frames form a key part to the renaissance of the area. A welcome new entrant to the budget hotel market is Soho House who recently opened their first roadside motel and diner with seventy-nine rooms, general store, restaurant and drive thru. This classic 1950’s American roadside themed concept offers the usual ‘Soho’ chic interiors in the common areas with their take on budget hotel rooms at a price of £50-£75 per night with family bunk rooms aslo on offer. 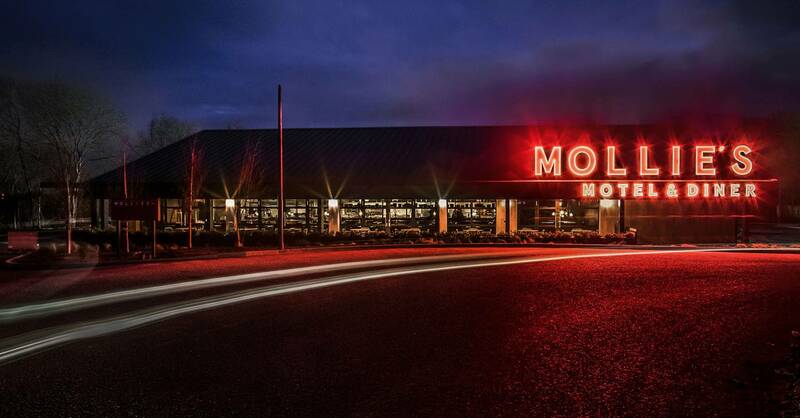 Technology is at the forefront of the customer experience with the motel’s official app used to reserve rooms, tables, conduct check-ins and check-outs and even unlock rooms. If all goes to plan the concept is expected to be rolled out across the UK. Continuing the modular build theme Pocket Living has recently built this impressive 27 storey tower on a contrained site of less than 500 sqm. The preabricated g;azed modules were made offsite and craned into position around the steel frame. Instead of traditional brickwork a facade of terracotta tiles were designed by a local ceramisist and artist which are self cleaning and reflect the natural surrounds. It also changes colour in different light conditions thus creating a ‘chameleon-effect’. Three types of panel were designed to give texture and depth to the three sided tower. The views from the communal landscaped roof terrace on the 23rd floor continue the wow factor! 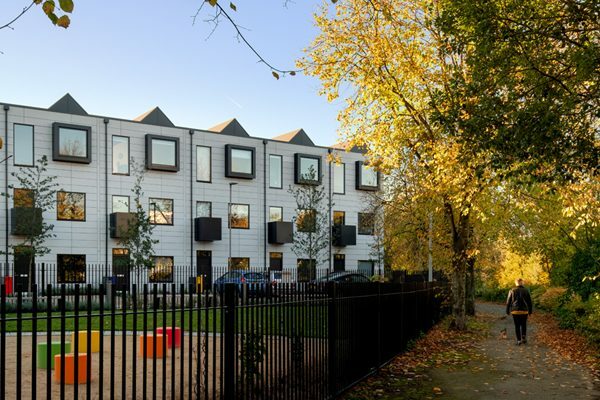 Serial pioneers Urban Splash’s first modular build development which allowed purchasers to have input on internal layouts as well as speeding up build programme; improving quality,sustainability and reducing build costs. Modular builds will undoubtably have an ever increasing part to play in the UK housing market with Legal & General, Urban Splash and Berkeley Homes being the most high profile frontrunning investors to date. The benefits of this construction method will increase further as the market grows and matures. We predict the variety of cladding materials that can be used will present opportunities for bold and innovative facade designs. These should create variety and vibrancy to the established street scene or estate but may test the resolve of planning authorities in some locations! 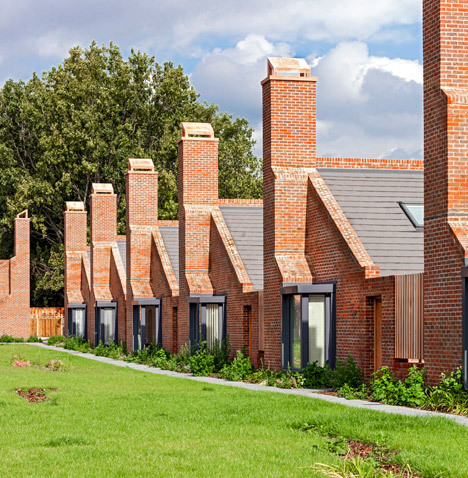 By distilling the key elements of the traditional housing type of almshouses with a contemporary twist, this 39 unit retirement scheme meets the needs of its users whilst being of an appropriate scale to the site and its surrounding context. The communal garden helps to foster a sense of community between occupants. With a growing ageing population, we predict major housebuilders will increasingly turn their attention to the retirement sector as a variety of product on large sites will increase annual sales rates and help meet national build targets whilst also releasing previously oversized family homes into the local market. This new 50 unit shopping and leisure destination opened with impeccable tming to benefit from Christmas trade.earlier this week. 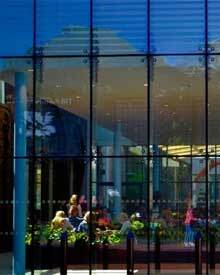 The mix of heritage and contemporary design has again worked fantastically well together to create an inspiring environment with high quality public realm so to entice customers in. An innovative leasing strategy focussing on a more eclectic mix of brands offering quality, craft, innovation and brand experience should clear;y define this new district from its competition. tHE HOTWALLS STUDIOS, OLD PORTSMOUTH. 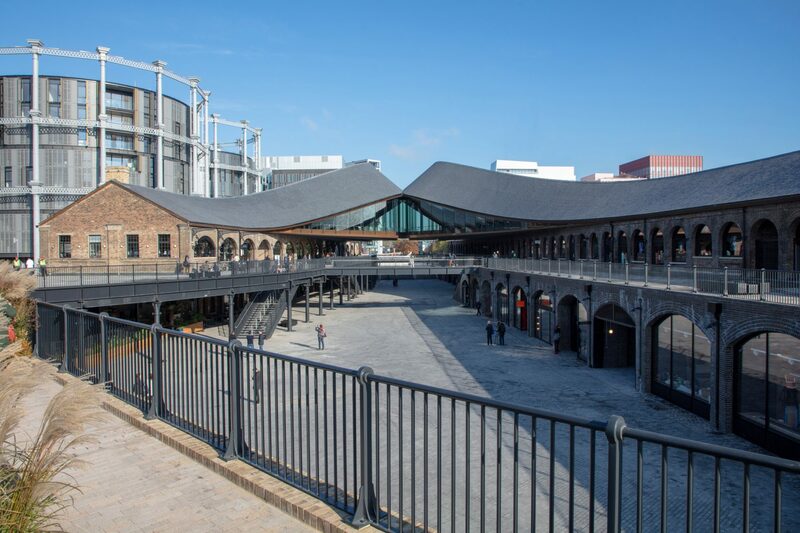 This impressive restoration project has converted the former artillery barracks and arches into thirteen artist studios/workshops and one restaurant. All leases are from 3 months to 3 years so to provide flexibility with more favourable terms available to new starts. There are a variety of artisan and cultural events held here throughout the year so to create extra buzz and excitement. 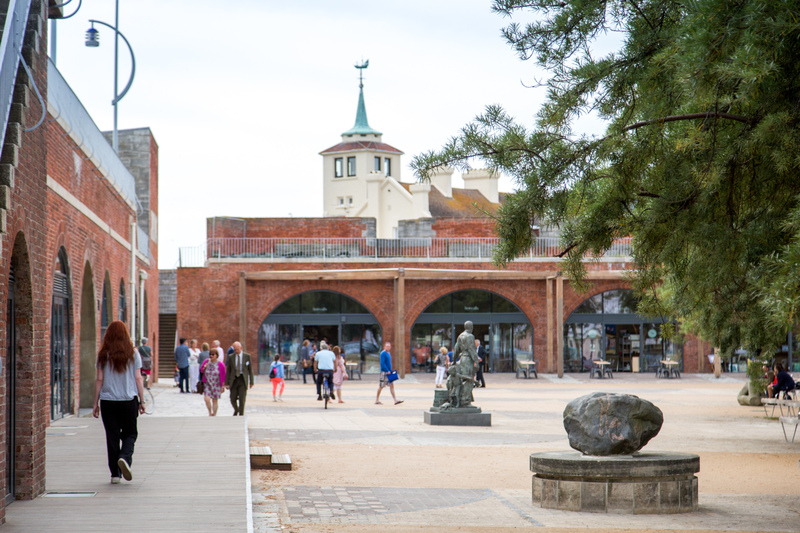 The lighting and public realm have been completed to a standard befitting this national heritage landmark. Well worth a visit. 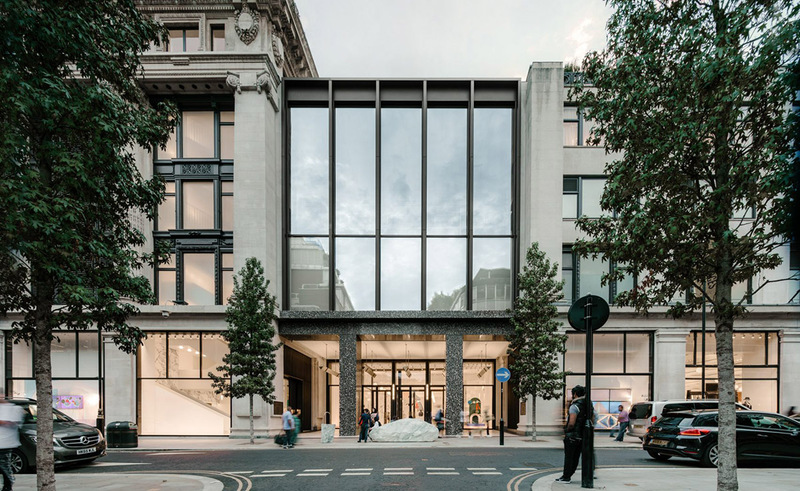 This is a triumph of sleek design combining two historic landmark department store buildings so to create some 5,000 sqm of contemporary luxury retail space for the store’s new accessories hall. This underlines the need for department stores and retailers to continually invest and delight their customers in terms of both product and place so to keep enticing them back to store and maintain their brand loyalty. Ocado’s Customer Fulfillment Centrea (CFC) vividly illustrate how AI technology is now transforming the retail landscape. 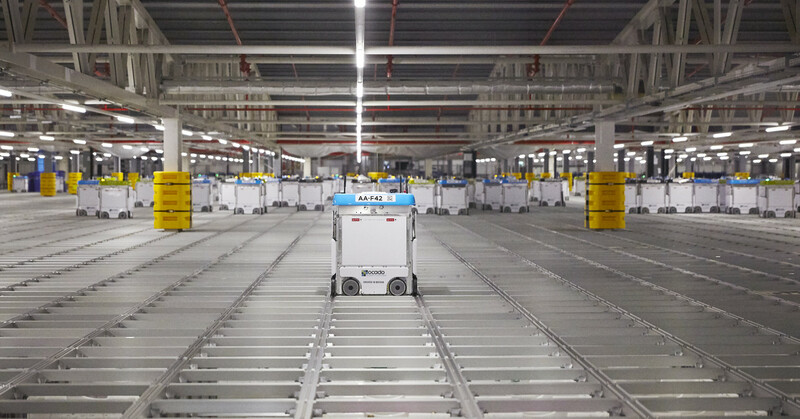 Using a grid system, robots assemble customer orders using an air traffic control system to allow 700 robots to produce 65,000 customer orders a week from this 240,000 sq ft warehouse facility. Ocodo are selling this technology across the globe. This now represents the challenge of a generation for Town Centre’s who need to change and adapt to thrive going forward,. Each town or city will need to develop its own plan to succeed with Product, People, Placemaking & Passion forming part of the mix. It was exciting to see this £160m mixed use scheme comprising apartments, offices, hotel, restaurants and Everyman cinema coming out of the ground in this spectacular and truely unique waterside location directly overlooking the World Heritage site which includes Durham Cathedral. 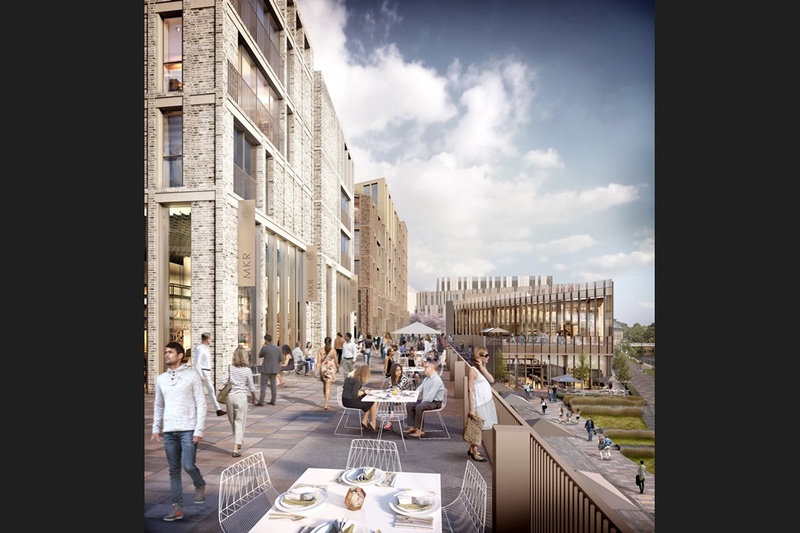 This scheme will transform the currently lacking restaurant offer in the City and to the envy of some peers provide a high quality mixed use environment which will be compelling for tourists and locals to enjoy for years to come. 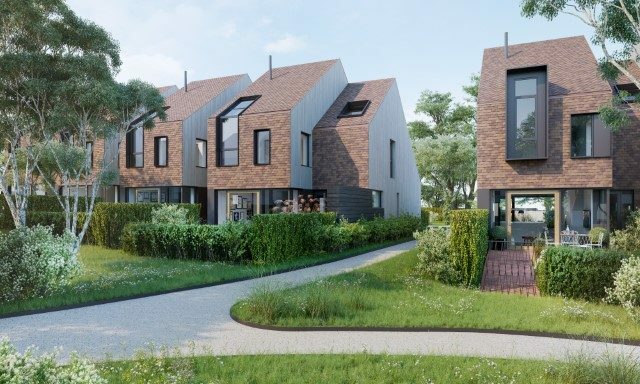 This pionerring eco town designated development plans to deliver 6,000 homes over 20 years and has claimed to be the UK’s only large scale carbon neutral development. Lead by A2 Dominion it will provide schools, an eco business park and new local centre with community facilities all linked by internal cycleways. 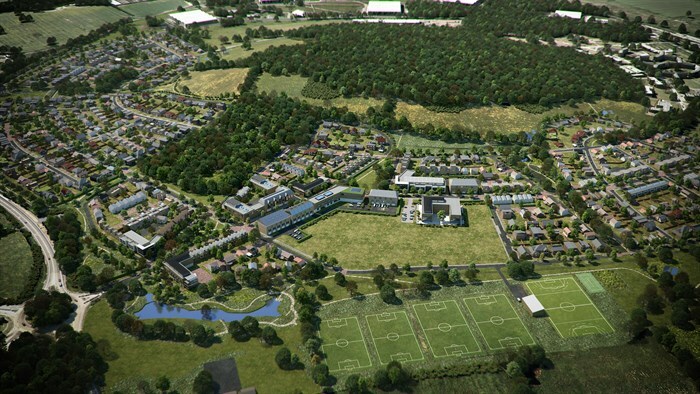 The 40% open space and green infrastucture land use across the whole site will provide a country park, sports pitches, adventure walking and leisure routes , allotments and a woodland cemetery. The scheme should set new enviromental standards that many future communities will seek to follow. 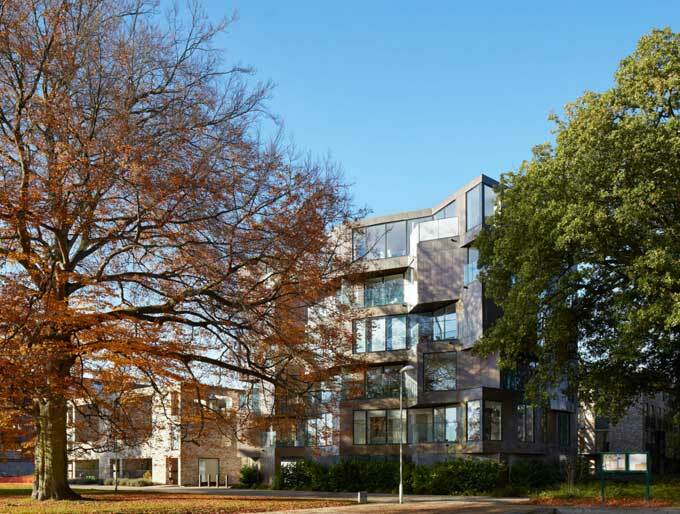 This 113 apartment scheme which is due to open this summer is a great example of how the retirement living sector has transformed its approach to design and community in recent years. A series of courtyards taking reference from ancient settlements of the area with central kitchen gardens and walkways in a cloister style create the framework. 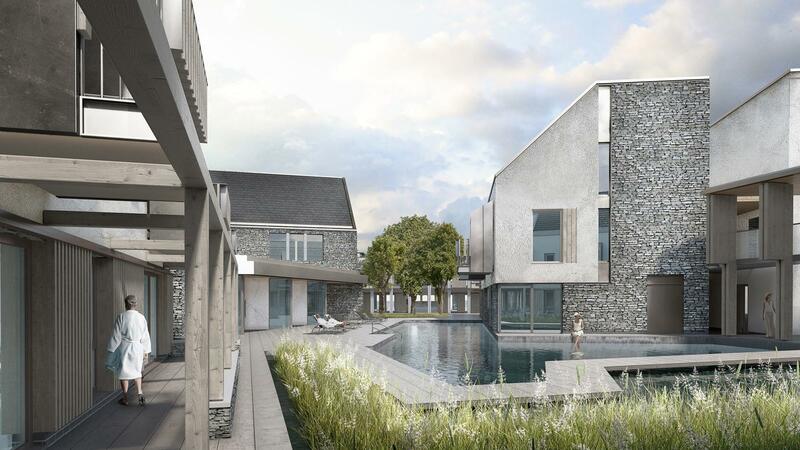 A wellness Spa with indoor and outdoor pool/ponds, gym , care and therapy provision, restaurant, cafe and snug provide the communal lifestyle within a central village hall building. Soho Farmhouse for the more experienced resident beckons! 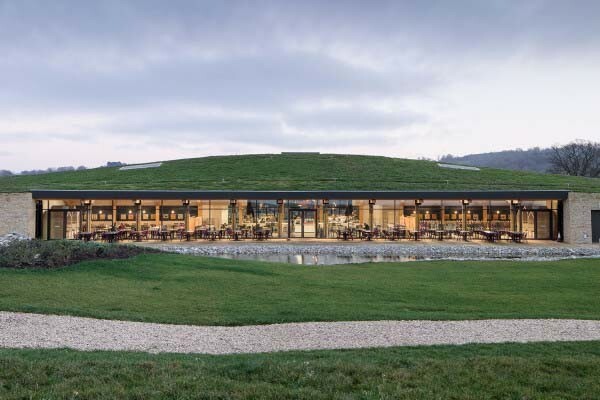 This building certainly fulfilled the client brief of ‘creating something sleek and contemporary, but at the same time crafted with a strong presence of natural materials’. With the focus on locally sourced goods and resources internally this facility is a real game changer in its sector and well worth an occasional detour to enjoy it! Acting on behalf of Dandara and Scoop AM, Urban Quarter advised on the off market purchase of The Chilterns Shopping Centre, High Wycombe. The Chiltern Centre is a 30 unit scheme orginally built by Crown Estate in the 1980’s and is anchored by Primark and Wilkinson. Urban Quarter now look forward to working with the new owners on enhancement and repositioining opportunities. 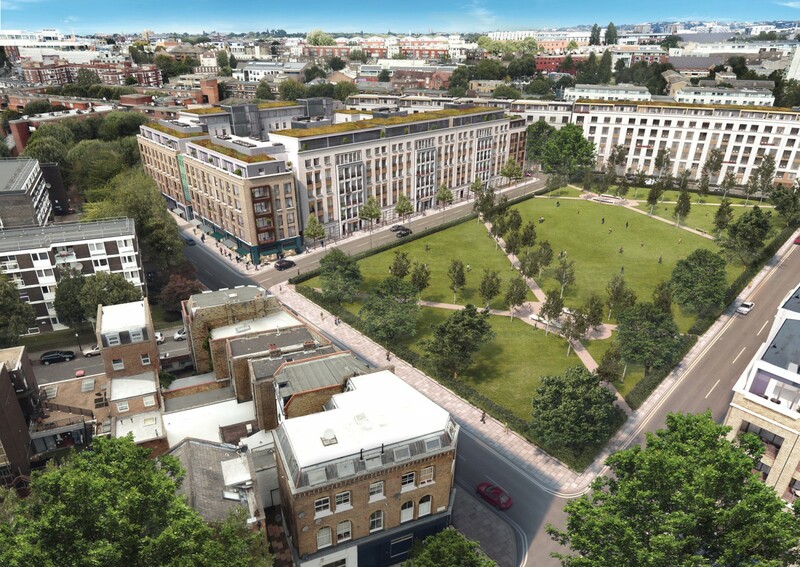 This classy 1000 unit scheme successfully brings together modern interpretations of mansion blocks,terraced and mews housing with a new London square and impressive public realm. The transformation from the previous high rise 1960’s council block estate is startling and interesting to note that the street patterns have reverted back to a previous era. This is a best in class housing association scheme ensuring no loss of affordable housing or design differential in its reprovision. There is alot to commend about this building. 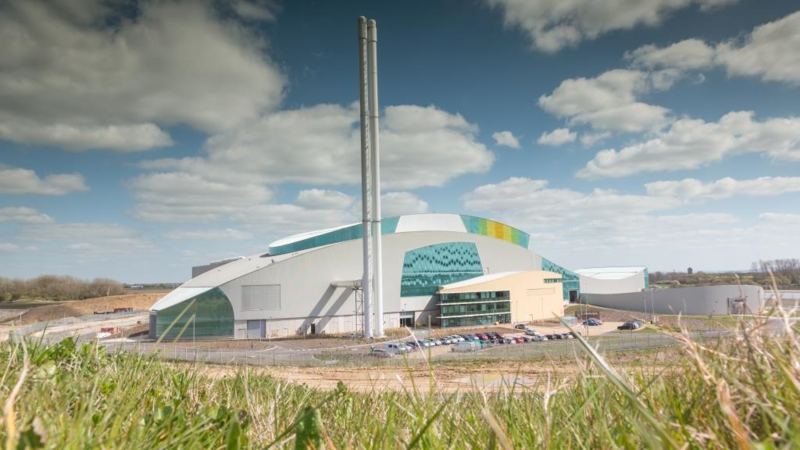 This waste to energy plant annually diverts 300,000 tonnes of Oxfordshire’s non- recycable waste which was previously buried in landfill and with it creates enough electricity to power around 38,000 homes. The building itself strikes a bold balance of cutting edge industrial with softer tones and edges to reflect its isolated rural location. Its particuarly impressive like its couterpart off the M1 in Sheffield when lighting up after dark. An ideal land use for prominant sites with significant levels of motorway noise. This recently opened £140m mixed use scheme is leading the way in providing a truly intergrated retail and outdoor leisure experience. 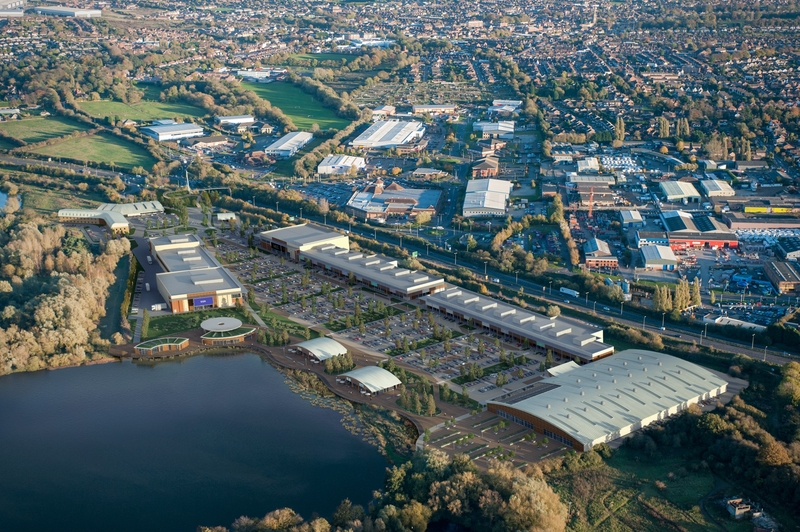 In addition to a stellar line up of retail brands and good selection of restaurants and cafes in Phase One the scheme incorporates a 14 acre lake for water sports and wildlife plus a SSSI woodland. This much quoted planning case has made a welcome return to the limelight having delivered an innovative out of town destination which is already proving to act as a catalyst for wider development. 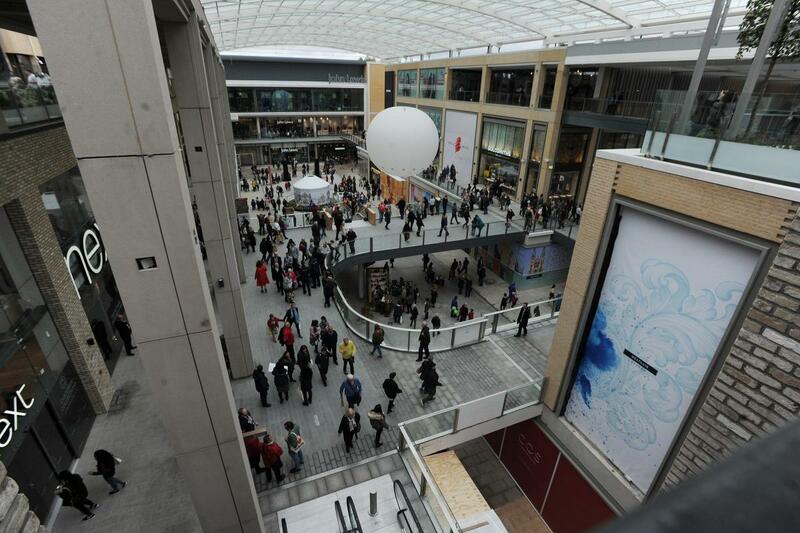 Whilst After some 20 years in the making the £440m Westgate Shopping Centre opened on 24th October with two levels of retail anchored by a John Lewis Department store in a L shaped circuit with a mall width designed to accommodate the projected 15m footfall. The Wow factor is provided by a terrace of restaurants with views across the dreaming spires of the city. It will be fascinating to see how the City Centre responds with the prime retail pitch having shifted overnight. Whilst the nation grapples with how to solve the housing crisis it is exciting to see projects coming forward taking a different approach. Graven Hill will be the UK’s largest self build scheme totalling 1,900 units over the next 10 years. The unit sizes range from apartments to 6 bed houses and with a fast track design code in place there are options to buy your own serviced plot or a built shell so you can customize the interior layout and finishes. 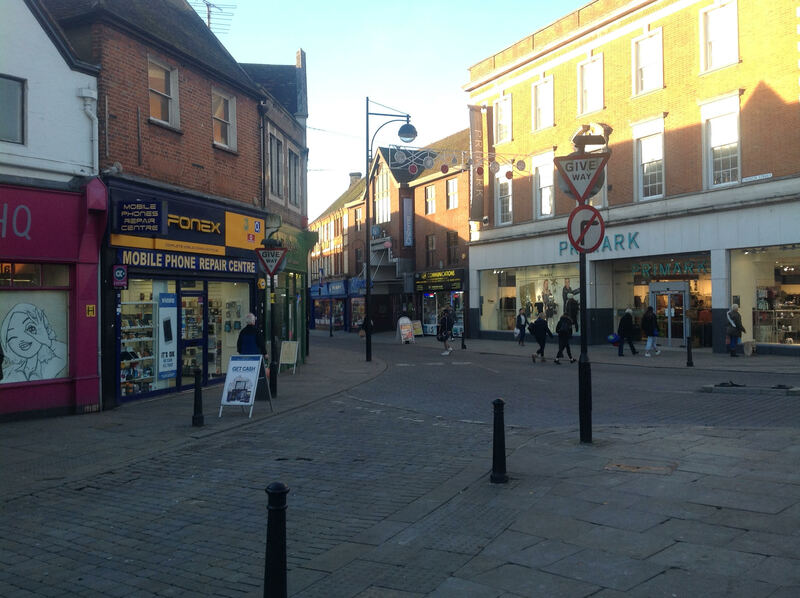 A plot shop in the town centre, right to build toolkits and plot passports further underlines the innovative approach with many of the first plots released going to sealed best bids. 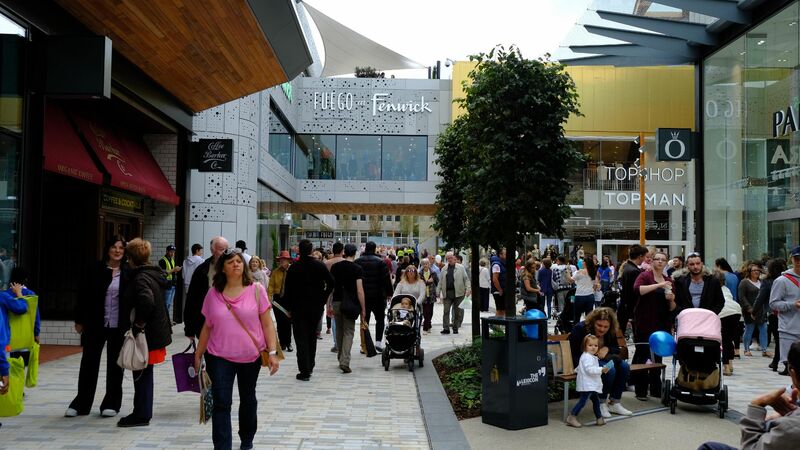 Bracknell town centre has been transformed with the opening of this 60,000 sqm £275m retail and leisure scheme anchored by Fenwicks Department store, M & S and a 12 screen Cineworld Multiplex with a 4DX screen. This represents the first of the first wave New Towns dating back to the late 1940’s to benefit from a new town centre. The scheme is over 90% let and retail rents in the town have now doubled. With Westgate, Oxford and the extension at Bicester Village due to open next month shoppers in the Thames Valley will be spoilt for choice when considering new Christmas shopping destinations this year! 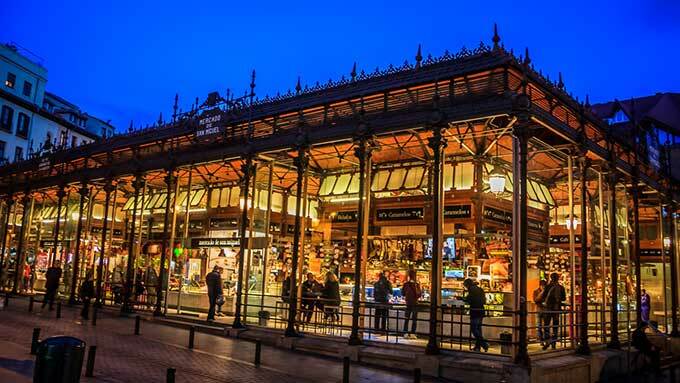 In terms of bursting energy and life into Town Centres markets are a hard act to beat and this one is a real tourist magnet in the centre of Madrid. The historic detailing of this building is a big part of the atmosphere. Could building a contemporary equivalent create opportunitIies in the UK where town and city centres are seeking to enliven their offer and drive footfall? Following on from the great traditions of estate housing by the Rothchild family in Waddesdon and Tring which date back to the 19th century this new contemporary development is sure to provide an equally timeless and sought after housing solution. Emphasis on design, materials, living standards and connection to the landscape and the neighbouring Waddesdon Estate will ensure the success of this project. It will be interesting to see where they pitch the price levels at the marketing launch later this month. 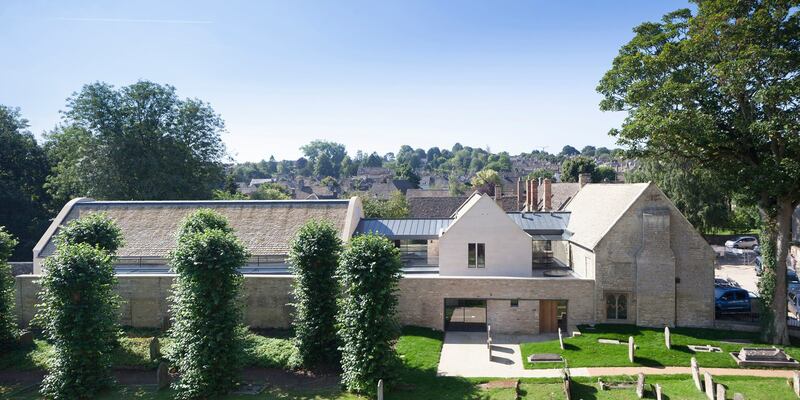 This is a great example of conservation architecture extending a community asset in a very sensitive location within the curtilage of a Grade 1 Listed church. The writer remembers this building well from school days! Acanthus Clews architects will no doubt be picking up some awards for this project in the coming 12 months. 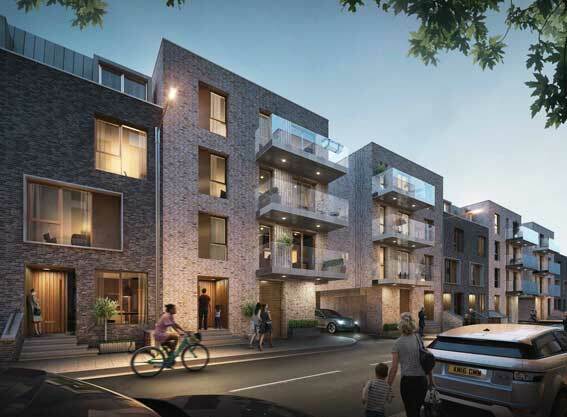 Great example of brownfield regeneration with South West London industrial Estate being transformed into sleek apartments. The material pallet is very pleasing to the eye but the costs of which may only befit a sought after London postcode. The expression of brand identity together with extravagance in architecture here is quite extraordinary. I’m very much looking forward to paying a visit as I understand a warm welcome is also assured! (Heatherwick Studio Architects). 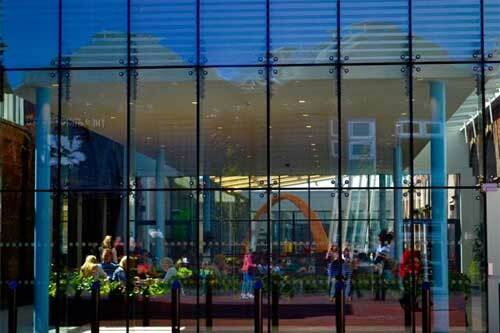 Following on from the much acclaimed Victoria Gate, Leeds it’s great to see some more crisp contemporary interpretation that ACME are shaping up for Chester City Centre. Phase 1 of this scheme due to open by end of 2019. 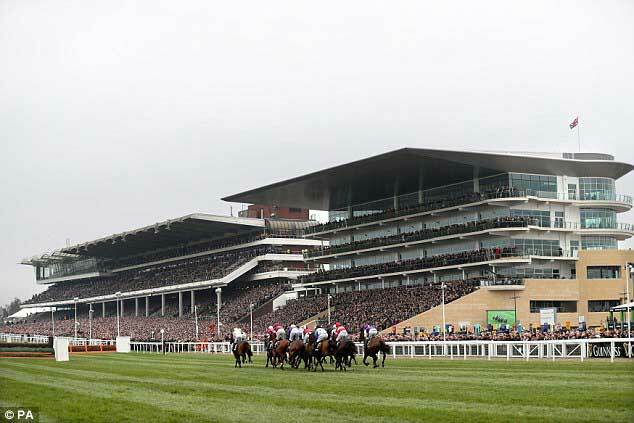 Good luck to all those of you are lucky enough to be paying a visit to the Cheltenham Festival this week. May the sun shine on punters and not the bookies for a change and also hoping Native River can win the big one! Sunshine guaranteed for all those venturing to Cannes! 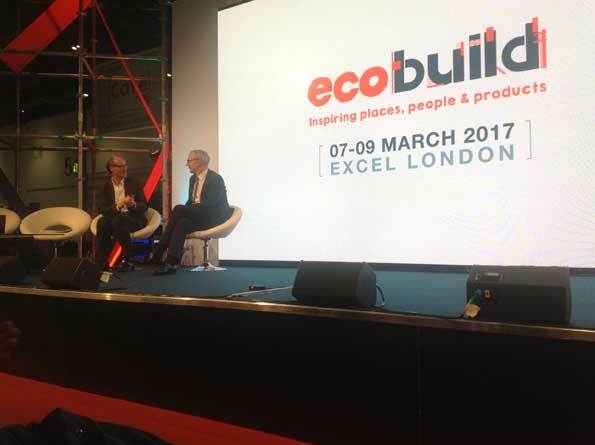 A day in the life of Ecobuild 2017! Having not been to Ecobuild for 5 years having lost a bit of its edginess, it’s now a much slicker affair with an impressive line up of speakers and panel discussions. 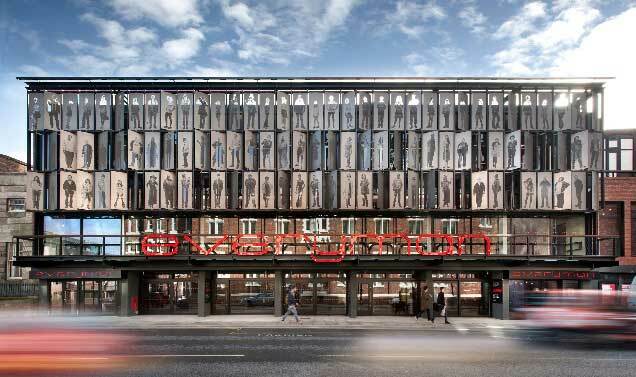 It is great to see a client and design team really push the boundaries and develop such a creative and fun facade. Hopefully others will now follow suit and a revival of cinema architecture can follow as it seems like the majority of budgets have been spent on the interior since the art deco era! Haworth Tomkins architects were worthy winners of a Sterling prize here. I never tire of admiring how the landscaping in this instance inspired and shaped a very elegant example of contemporary residential architecture.